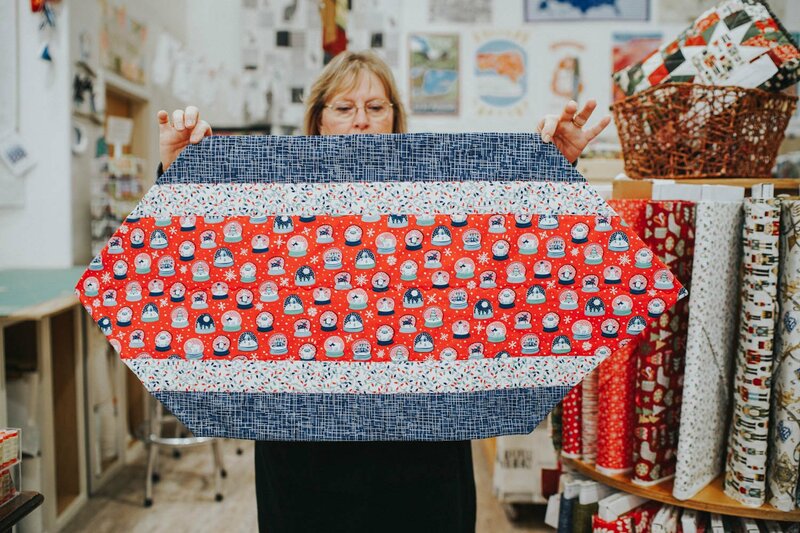 So, you've been wanting to learn to quilt, but didn't know where to start! Using a rotary cutter is a must when you're making a quilt. This class is the first class in our Quilting 1-4 series, designed to teach you the four basic steps of making a complete quilt. Cindy will teach you the basics of accurate rotary cutting and you'll end up with a take-away project. We'll provide all the tools you need for today's class. If you want to start adding to your quilting toolkit, we'll give you 15% off any tools/notions purchased on the day of this class. Materials Included: 15% off all materials purchased at Hip Stitch for this class. Requirements: Email susan.hipstitchabq@gmail.com if you have questions about this class and please make sure that you have read the About Our Classes section on our website at https://www.hipstitchabq.com/about-our-classes.htm.